MOSCOW, September 19. /TASS/. Russia’s arms exporter Rosoboronexport this year has signed seven contracts to export more than 100,000 rifles, the company’s CEO Aleksandr Mikheyev said on Tuesday. "There is great interest in Kalashnikov rifles in the Asia-Pacific Region, Middle East, Africa and Latin America. In 2017 we have already concluded seven contracts to sell more than 100,000 different models of Kalashnikovs. Talks are in progress with several customers," Mikheyev said. Of all the small arms made by Russian arms producer, the Kalashnikov assault rifles are in the greatest demand from foreign customers. "Since its establishment, Rosoboronexport has exported more than one million models of this rifle. 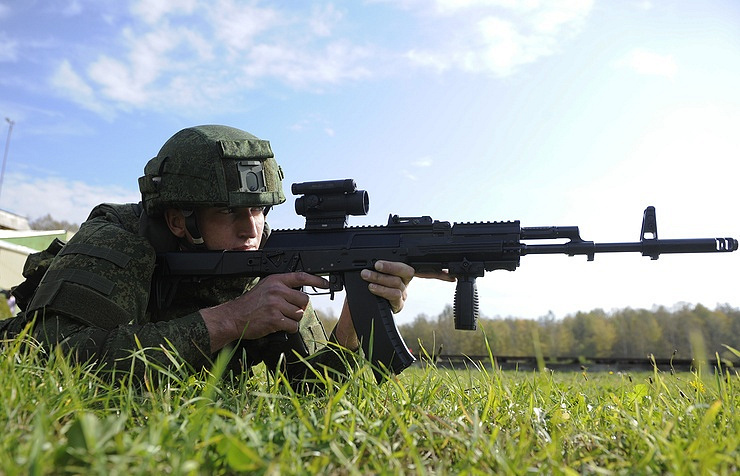 In several countries, Kalashnikovs are produced under license with Russian assistance. In 2017 alone, more than 15,000 Kalashnikovs have been produced under license, and starting from 2001 - several hundred thousand," Mikheyev said at a ceremony unveiling a monument to Russian gun designer Mikhail Kalashnikov on Tuesday. Currently, Rosoboronexport promotes the Kalashnikov brand on the global market, among them are the AK-74M and several models from the "100th series" (AK-101, AK-102, AK-103, AK-104 and AK-105). More AK modifications are to hit the world market soon. Some potential clients have already shown interest.